A. D. ALDRIDGE, B. BENNETT, J. F. BILLINGTON, A. J. BOMBER, B. CHEETHAM, J. V. EASON, P. J EVISON, L. GILLOTT, R. J. NOSOWSKI, M. R. PIKE, P J. QUARRELL, G. C. TALFORD, G. R. TRANMER. J. A. BALDWIN, C. J. BALL, R. BATTYE, G. G. BELK, J. J. BENNETT, D. G. R. BROWN, P. BUCKLE, J. R. COCKAYNE, N. D. CRAIG, M. R. DUNGWORTH, N. R. V. EDMONDS, M. FIRTH, D. S. GOODWIN, P. J. HARDIE, J. D. HARRIS, M. J. HARRISON, J. R. HOGG, B. T. A. HUMPHRIES, I. E. HUNTINGDON, M. B. JONES, C. JUBB, J. A. LEIGH, N. J. MANN, T. MARSHALL, D. J. NELL, N. NEWTON, H. G. SCHOLEY, A. E. SENIOR, J. C. B. TURNEY, I. T. WILLIAMS, P. WILSON, I. W. WRIGHT. Keble College - Class II, Honour School of Modern Languages (German and French). The Queen’s College - Class II, Honour School of Philosophy, Politics and Economics. Trinity Hall - Class II, Division 1, Modern and Mediaeval Languages Tripos, Part II. St. John’s College - Class I, Classical Tripos, Part I.
Peterhouse - Class I, Theological Tripos, Part IA. D. F. Butterell, A. R. Dowling (v), M. R. Edwards (z), M. Hill, P. Johnson, M. B. Jones (v), P. S. Wileman. J. E. Ashcroft, J. R. Bagshaw, D. H. Baldwin, J. A. Baldwin, R. Battye, K. Baxby, C. Beal, J. S. Beevers (z), P. N. Bell (c), J. J. Bennett, P. H. Betts (v), S. S. Birley, J. W. Bows (a, c), T. Box, P. Bradley, D. G. R. Brown (v), R. Carroll, J. R. Cockayne, D. J. Collins, M. A. Collins, I. T. Colquhoun, N. Coope (v), B. F. Crabtree (1), R. N. Crookes (d, e). J. A. Cunningham, N. R. Dennis (1, y), M. R. Dungworth, N. R. V. Edmonds, D. F. Evans, M. Firth, A. Foster (z), L. Gillott (v, k, 1), P. Goldfinch, P. J. W. Grimsditch, J. R. Gunson (jj), M. A. Hall (a, c), D. Hallewell, P. J. Hardie, J. D. Harris (v), M. J. Harrison, P. E. Hawksley, P. M. Hetherington (k, 1), M. Hulse, B. T. A. Humphries. J. R. Jacques, N. P. A. Jowett, C. Jubb, P. N. Kenyon (1), J. S. Knowles, S. R. Levy, J. C. Lucas, N. J. Mann, T. Marshall, P. J. Matthews (v, k, 1), 1. D. McAughey, J. C. H. Meakin, C. C. Mills (k), R. Mingay (2), H. R. Morrison (j), D. J. Nelson, N. Newton, A. Nicholson (x). R. E. Oates, D. A. Ogden, H. S. Ogley (jj). D. G. Ollerenshaw, A. R. Outwin (d), M. J. Richards, P. D. Roberts, J. M. Roebuck (j), M. J. Savage, A. E. Senior (1, y), P. A. Solway, D. M. Taylor, I. R. Taylor, J. B. Thorpe (jj), C. J. Tomlinson, A. R. Tong. E. Trickett, B. Walker, R. D. Walley (y), I. M. Whitehouse, J. Wilkinson (v), I. T. Williams, S. L. Williams, C. C. Williamson, P. Wilson, M. Worrall. C. J. Ball, G. G. Belk, N. D. Craig, A. M. Dowling, D. S. Goodwin, M. J. Grundmann, D. Jinkinson, J. V. Laming, R. S. Letch, G. F. Lovett, A. Pilkington (e), M. C. Purdy, W. J. Ridgway, C. J. Riley, H. C. Scholey, J. A. Smith, B. G. Stringer, E. B. Styring, J. R. Topley (s). J. L. Tym, I. W. Wright. B. W. E. Argent, A. J. Beasley, B. B. Cruickshank, I. M. Johnson, J. R. Machin, J. S. Parson (v), M. J. Platts, J. S. Pressley, B. Reynolds. P. J. Ridal, P. D. Robinson, R. A. Rowbotham, J. R. Shutt, M. A. Stokes, G. C. Talford, W. B. Timms, S. J. Ward, R. J. Wheatley, E. J. Whiten, M. Whitley, P. R. Whyman (e), J. D. Wood. 40 passed the General Paper. A. J. Anderson, J. K. Baker, C. M. Beale, M. J. Bryars, H. Crump, J. G. Fells, P. A. Hardcastle, T. D. Hawkins, C. F. Hinsley, S. S. Housley, P. N. Kington, A. D. Lucas, C. J. Marsh, C. J. D. Morley, J. C. Mould, D. G. Parrish, G. L. Porter, G. M. Searby, D. Simmonds, J. R. Taylor, A. C. Wager, J. M. Wilson. W. B. Amos, P. B. Anderson, S. T. Bailey, R. G. Billcliffe, S. J. Blake, P. Bower, J. Cawthorne, J. I. Denton, I. J. Ford, P. A. Greaves, J. R. Gregory, A. J. Hartley, S. J. Hughes, B. A. Hutchinson, D. Lewis, R. W. Martin, A. J. Penney, S. O. Ridgway, D. A. Rollin, J. Siddall, M. Smith, P. B. B. Turney. P. Bingham, G. W. Bridge, H. M. Cave, R. J. Diamond, A. Ellum. M. J. Fidler, A. J. Goodman, P. Grist, J. A. Home, A. M. Hughes, H. K. Kelly, S. J. Kershaw, C. J. H. Linfoot, R. H. Marsden, P. S. Maxwell, O. R. Mettam, A. R. Morgans, M. J. Ogden, R. A. Roxburgh, I. C. Sallis, I. H. Sarginson, A. F. Selway, J. W. Shaw, J. C. Simpson, G. C. Trotter, J. D. S. Turner, S. R. Vere, A. J. Wilks. C. P. Brearley, D. R. Brewin, D. Brook, J. E. M. Cockcroft, J. 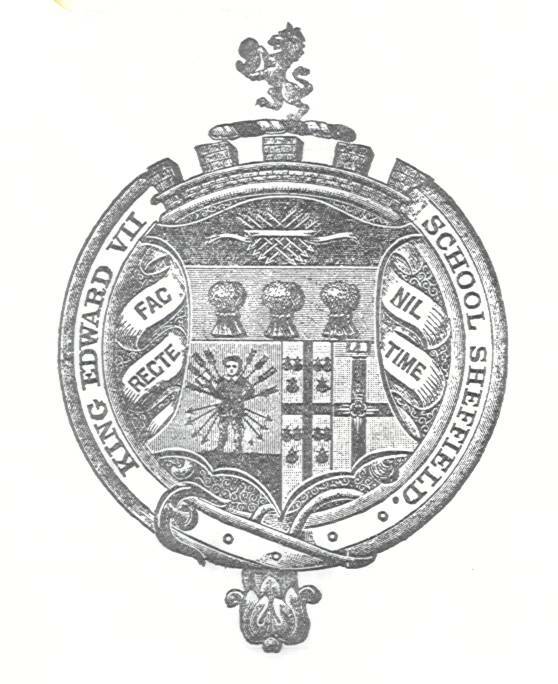 A. H. Edwards, P. H. Gott, D. Hebden, J. A. Hensby, P. Howarth, D. R. Kay, F. Knowles, C. J. Lomas, R. F. Mills, C. J. Pawley, H. Pilley, D. A. Pollard, J. F. Shaw. D. A. Booth, J. Chadwick, R. H. Dimbleby, N. Dodson, K. Edwards, P. J. Ellis, R. A. Hague, A. Hall, J. I. Hall. R. J. Holder, I. M. Kirk, J. S. Plant, R. K. Richards. D. R. Seymour, J. L. Simpson, R. Staniforth, N. M. Struthers, F. A. Welland, S. R. Wilson. D. F. Ashmore, P. R. Ask, D. G. Baines, I. W. Barrow, C. S. Berresford, M. P. Boyce, R. J. Britton, J. Brown, D. J. Cain, M. E. S. Coles, T. E. Cooper. P. M. Croxford, H. E. Culley, G. Eggington, M. J. Elliott, B. M. Fairhead, A. G. Grant, D. L. Grinnell, D. V. Gunson, D. B. Home, J. H. Kirkman, D. A. Kneen, P. S. Mattam, L. Moore, P. Nuttall, E. Padley, P. M. Rees, J. A. Tomlinson, S. E. Varley, J. H. Wallace, R. Whitham. R. J. Williams, J. Pemberton, R. J. Marshall, P. M. Boyling, J. Shirt, P. T. Barwich, M. E. Orton, S. M. Wright, D. J. Finch, D. G. Bradbury, P. M. Holmes, R. B. Kenyon, N. H. Woodcock.